There’s a lot of value in talking about the network Enspiral as a verb, a way of being. I’ve grown a lot from thinking about it in this way, and I think it draws attention to the ongoing question of, “how do we want to be together”. However, I think it’s also useful to think about Enspiral as a place… a place where we encounter one another with generosity and trust… where we can stand or move from a position of strength… or even where we often find shelter, connection, and belonging… a collective home. 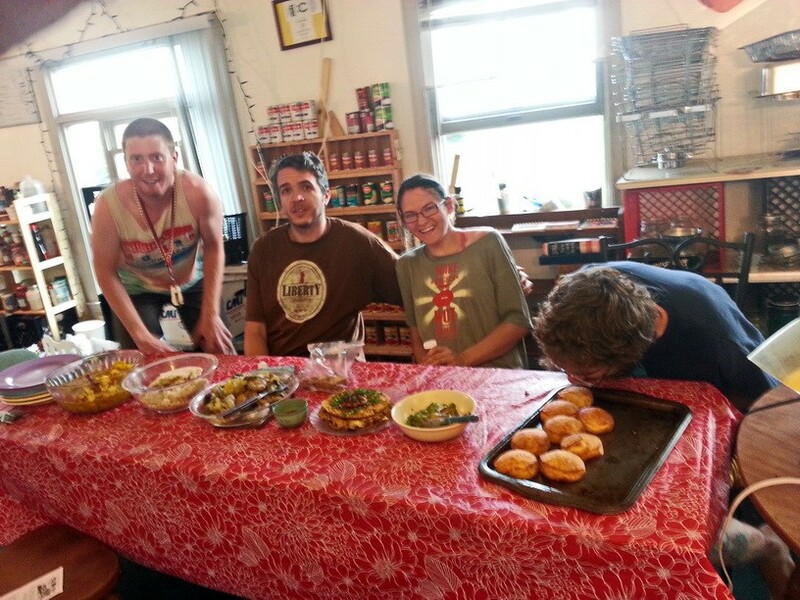 Sharing food brings us together at our retreats, at one of Enspiral’s hubs, EDA, and at this co-op home I lived in. The benefit of thinking of our “DIY collective of social enterprises, ventures, and individuals” as a housing cooperative struck me as I’ve recently been on calls with many Enspiral people in light of a change to the financial model of our Foundation we’ve been co-designing over the last year. With finances on our minds, we naturally have talked a lot about value, about what Enspiral makes possible for us, and—most recently—about the possibilities that lie between those whose energy makes Enspiral come alive. I was reminded that, similar to the housing co-op I’ve lived in, the identity and character of Enspiral changes depending on who’s living in the house. The identity and character of Enspiral changes depending on who’s living in the house. 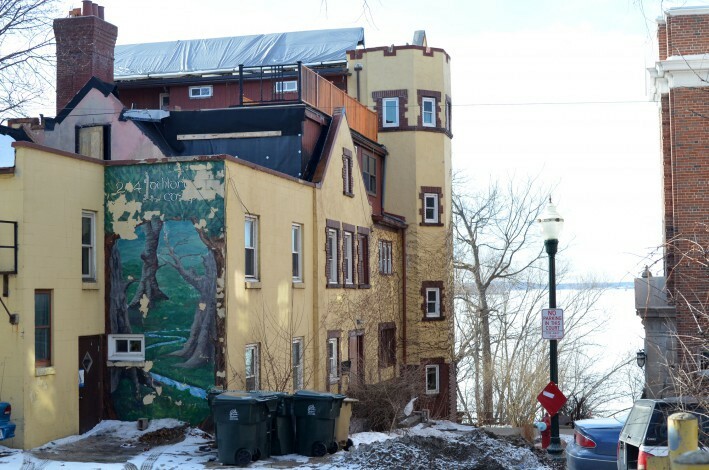 If you’ve lived in an intentional community or a co-op, this probably resonates. The experience of a house or community can change very quickly when people move out or move in, especially when the house or community uses consent-based decision-making or cooperative governance processes. This makes sense, as the idea of a cooperative is that it is driven and owned by its members, and it exists to serve its members; it should adapt when its membership changes to reflect the changing needs of the members. I’m not saying that those not currently present or active in it don’t affect its identity. In living at the 30-person co-op, Lothlorien, I remember our collective excitement at receiving postcards from former residents. People would also come back and visit. In my experience of cooperative life over the last 8 years, the shared identity of a group is shaped by all those putting energy towards it. A friend of mine with a degree in positive psychology told me that intention → words → actions → habits → character. The character of our collective is tied to the intentions of those here at home and those off traveling, as well as those who have moved out but are still thinking about us, phoning now and then, or even just chatting about their experience with us in cafes and living rooms across the world. The shared identity of a group is shaped by all those putting energy towards it. Like a housing co-op, people may also only hang out in certain rooms. Some people are always in the kitchen. Some people always come to the house meeting but never attend collective meals. Jean can always be found in the backyard. Being able to see various channels where communication happens as spaces has been really helpful in developing a Working Groups system for Enspiral, and for thinking about how we consult various types of people in our network as we further implement advice process as a decision-making tool alongside our consensus processes. How do we want to Enspiral? is a great question, but in this moment it may also help us to ask, what are the qualities of this place that enlivens our interactions? and how do we honor the ground on which we stand together? I’m reminded, of the African proverb, “if I stand tall, it is because I stand on the shoulders of those who have gone before”. As a collective that assembles online more often than not, I wonder how—when we connect digitally as well as in person—we can further embody this wisdom as we create and hold courageous spaces, spaces of choice, places for co-creating and living out our purpose. Loomio: if you have followed the Enspiral journey, you’ll know this is integral to our way of working, and emerged from our network’s efforts. I truly believe that hanging out in Loomio is transformative for myself and Enspiral due to the democratic intentionality around which its developed. Secure Scuttlebutt: These folks are also developing the foundations for cooperative life on the internet. The user experience and interface are really coming along, and when it feels like those who lean away from tech could start using it, I do wonder whether Enspiral will begin to incorporate it more intentionally into our online collaboration environment. …Sanctuary is a place of communication—inner and outer—where the deepest exchange is love. It is friendship, relationship—a home. Sanctuary is a place of risk, of dynamic tension—between the past and the future, between fate and destiny—where one can search for the right. It is a place to know one another in the light of change and where one can face the consequences of one’s life. Sanctuary is a place outside time, where there is always time for what is needed, a place of practical, continuous support. It is the authentic ground where every individual is welcomed, touched, and cared for. It is a place of beginning, of faith, healing, forgiveness, imagination, and intention. It is a place of memory, of what lives beyond the temporal. …It is a place where aspiration and purpose meet. It is a source of the waters of life, a place of reconciliation and resolve, a place of The Word, of the vital exchange of ideas. Sanctuary is a place of meeting, of mentoring, a place of welcome.